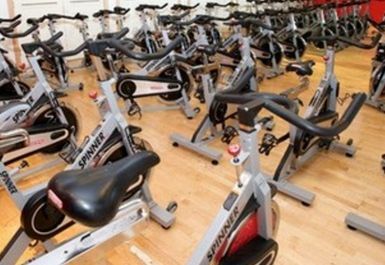 Fit4Cycle located in the heart of Battersea Putting the fun into Indoor Cycling. Burn calories, push yourself to the limit. With inspirational instruction and pumping music Fit4Cycle has something for everyone. Fit4Cycle welcomes first timers, cyclists and triathletes alike - we provide a relaxed fun atmosphere with a focus on enjoyment - no yelling or intimidation. 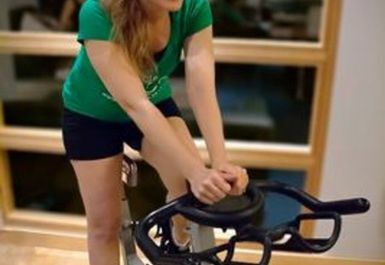 The great thing about indoor cycling is that you are in control of your resistance and your workout. The bikes are designed so that you can adjust them to your body and comfort level. The instructor is there to motivate you, to help you with bike set up, and to explain resistance and the aim of the specific class. Please arrive a little earlier for your very first class and remember to tell the instructor that it is your first time. Fit4Cycle is located at Nuffield Battersea Indoor Cycling Studio just a 10minute walk from Clapham Junction train station.